You are a gastronomy lover and you want to explore the culinary culture of countries around the world. So do you know the cuisine of a country which was named the “World’s Leading Culinary Destination” by the World Travel Awards? Welcome to Peru - a country with countless specialties that you can not ignore! Let’s explore the unique cuisine of this charming country ! Potatoes are known as tubers native to Peru. Indeed, Peru has more than 4000 different types of potatoes with different shapes, colors, and textures. For Peruvians, potatoes are an indispensable food in the lives of indigenous people; they include them in almost every dish. In Peru, they celebrate their National Day of the Potato on May 30th of each year. 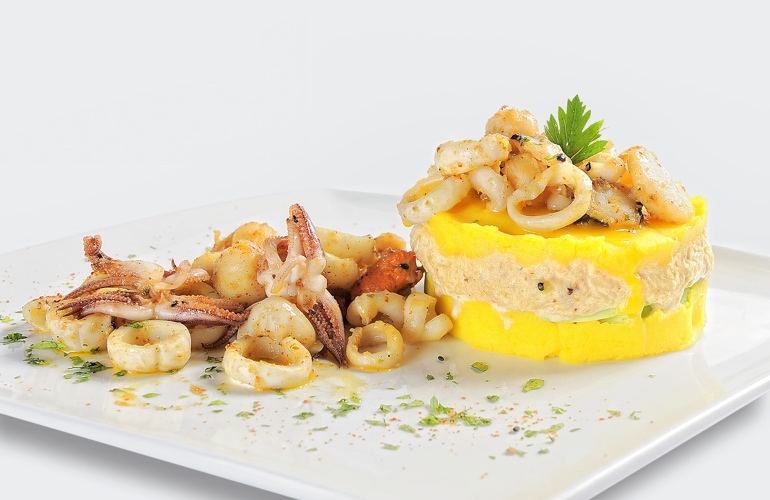 The seafood has been a fundamental part of Peruvian customary diet. In fact, the fishing tradition here dates back to more than five thousand years ago. When traveling in Peru, you can enjoy its diverse seafood dishes; it includes shrimp, trout, scallops, jurel, Mahi (Perico), squid, anchovy, chub mackerel, tuna, paiche and many others. 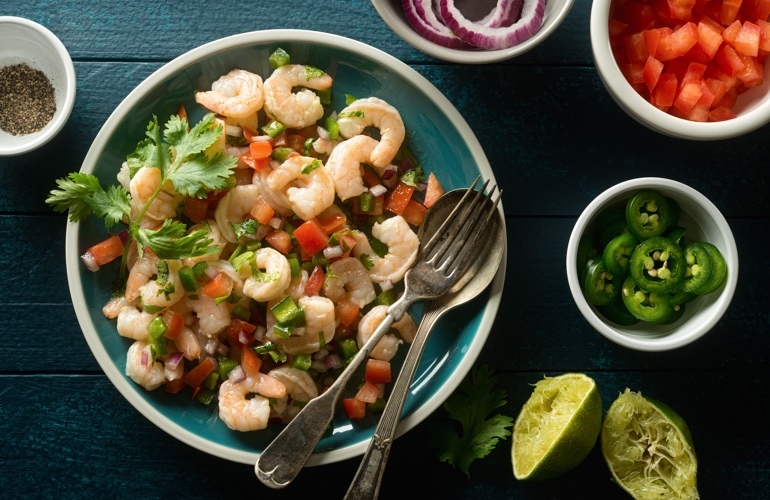 This dish includes shrimp or fish marinated with lemon juice. Ceviche is served with boiled corn, boiled sweet potatoes, chili, onions, garlic, ginger, celery, and coriander. It is declared as a national heritage and the pride of Peruvian people. 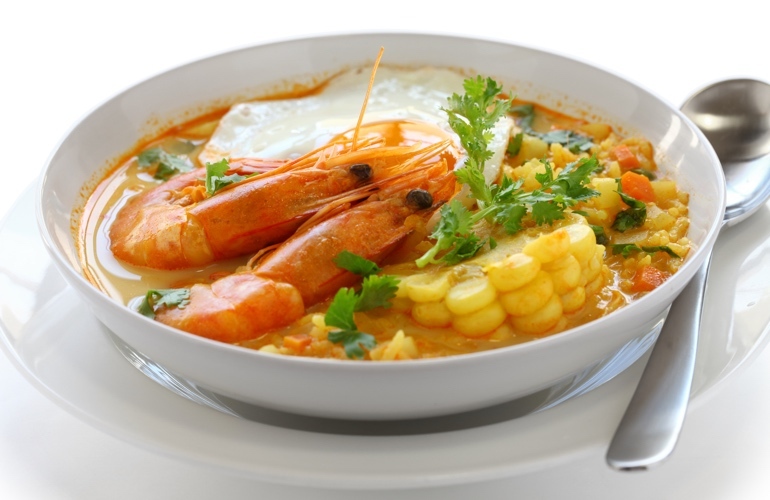 It is a typical soup from Arequipa, a city in south of Peru, but prepared in different parts of Peru. It is made from potato, shrimp, chili, milk and cheese. Quinoa is a delicious cereal, and especially nutritious. It provides protein, dietary fiber, B vitamins, and higher amounts of dietary minerals than those of wheat, corn, rice, or oats. Moreover, it has three different colors: white, red and black. 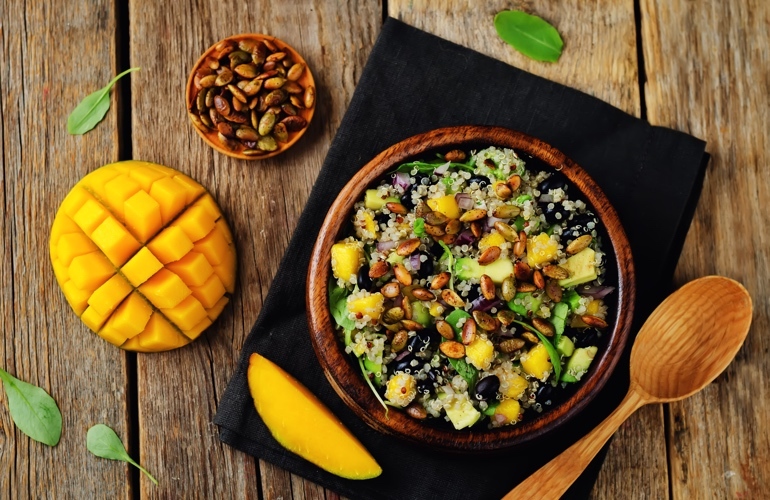 Come to Peru - the country of quinoa, you will have the opportunity to taste nutritious dishes made of quinoa such as quinoa salad, quinoa soup, and even quinoa desserts. Besides the special dishes, Peru is also known for the impeccable drinks. The first one is “Chicha de Quinoa”, a beverage made from quinoa seeds. 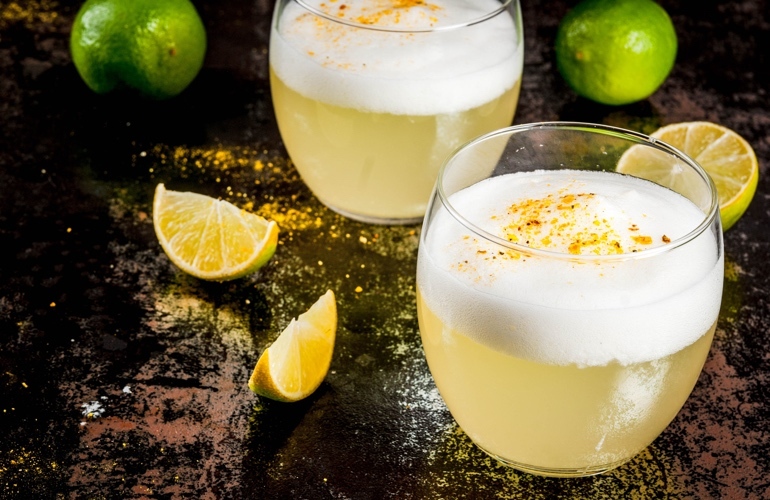 Then, Pisco Sour, considered a traditional Peruvian cocktail with Pisco brandy-like liquor made from a grape variety. This is an excellent appetizer before lunch or dinner. Pisco is distilled in southern regions of the country like Moquegua, Arequipa, Tacna and Ica. In addition to that, carbonated drinks such as Inca Kola or Cola Escocesa are also very popular in this beautiful country. Duck meat after frying in hot oil pan will be stewed with peas, spices like garlic, pepper, a little beer, and Peruvian Pisco. This is the secret of the Peruvian chefs to remove the smell and make duck meat more delicious. 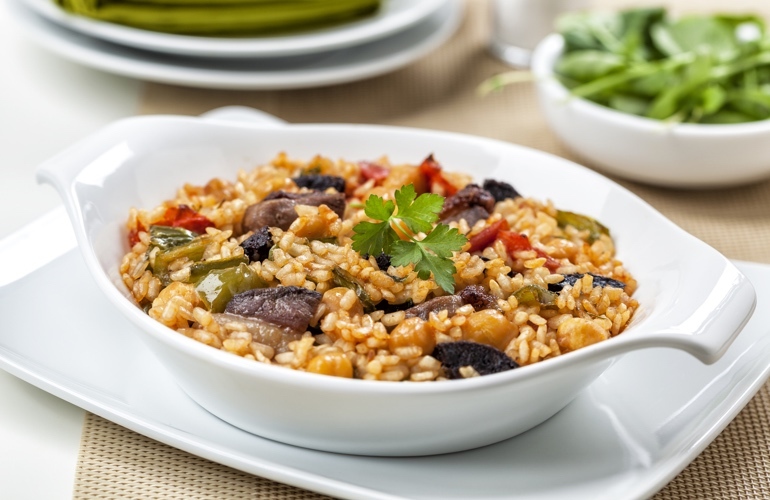 Next, in order to keep up the true spirit of Peruvian cuisine, long grain rice is used to keep rice from sticking to other ingredients that are cooked together. 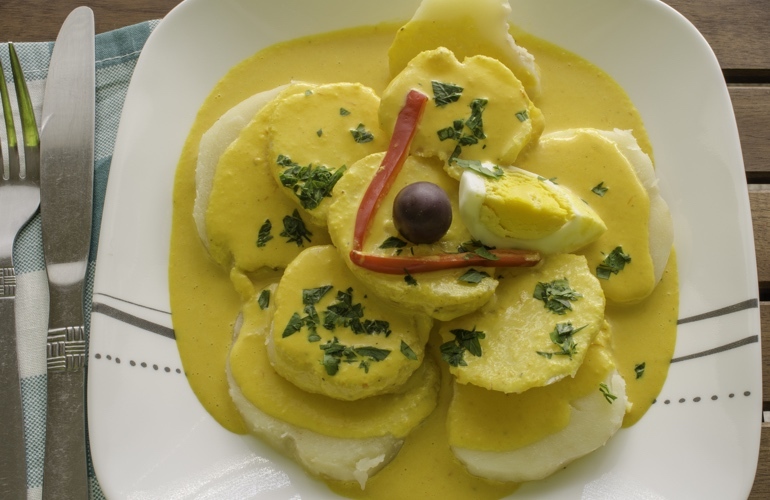 It is one of the Peruvian traditional dishes made of layers of mashed yellow potatoes filled with a variety of vegetables (avocado, onions, and chili), tuna or shellfish and chicken. 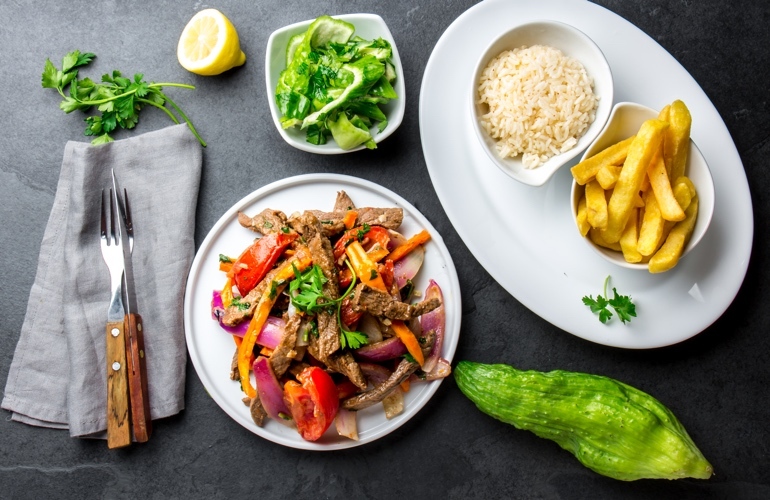 The Peruvian Lomo Saltado (known also as Lomito de vaca or Lomito a la chorrillana) is a typical dish of the gastronomy of the country, whose origins go back to the end of the 19e century. This dish is made from beef but can be replaced by chicken or pork. Its ingredients include beef, tomato, onion, potato, red pepper; soy sauce, coriander, and other spices. Discover Peru - A charming country with wonderful landscapes!